I know you are already addicted to my arugula farro salad, my favorite weekday salad. Lately, I've been making it with quinoa instead of the farro, and I might like it even better, if that's possible. 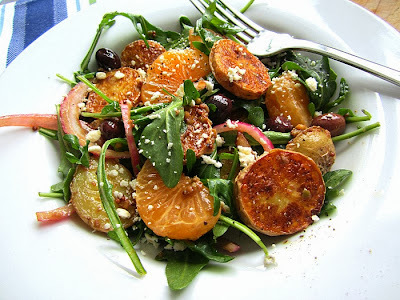 Today's salad is my other favorite winter salad. Once I make this, I make it everyday for a week, it's that good. What makes this salad sing is the warm roasted potatoes tossed with a pesto dressing. 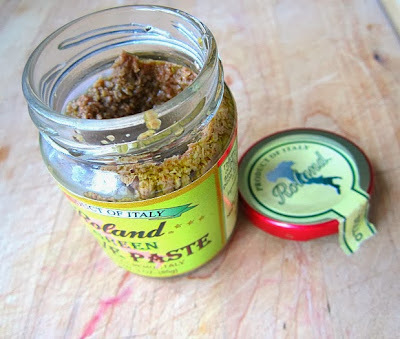 Here, I don't use basil pesto, but olive pesto (or tapenade; olivada, olive paste) instead, which is available in most Italian markets. Green olive or black olive pesto, it's worth buying a case, they come in tiny jars. I live on this stuff. It's delicious spread on toast; swiped on a tuna sandwich; or mixed in with pasta. I buy this brand, but I am sure you can find others. Since clementines are in season during the lean winter months, I throw in a nice juicy Spanish clementine so I don't get scurvy, and it pairs nicely with the briny olives. You don't have to use all the ingredients here, it's just a suggestion of flavors that compliment one another. 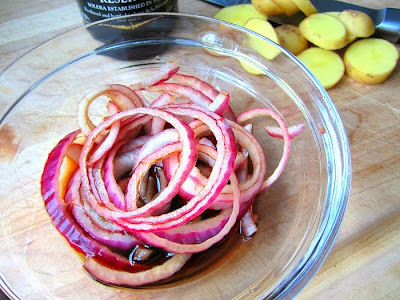 Soak the red onion slices in a tablespoon of sherry wine vinegar to take out the bite. This should take 15 minutes. While the onions are resting, roast the potatoes. 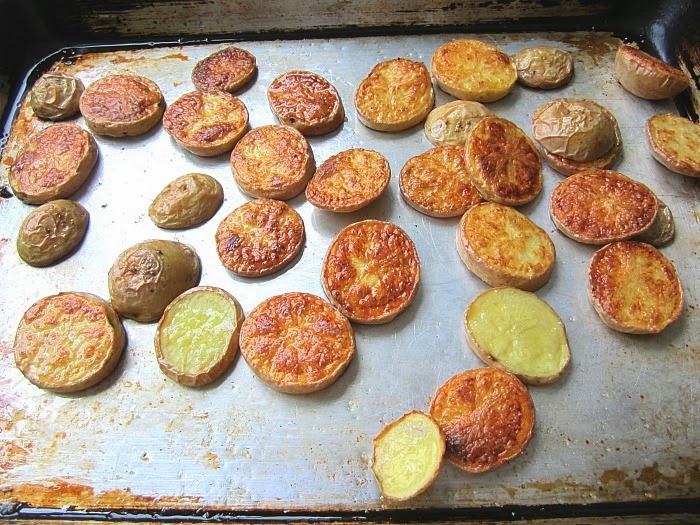 Lay the potato slices on a heavy baking sheet and drizzle with olive oil and kosher salt. Roast at 400F for 15 minutes, then turn over with a spatula. Cook the other sides of the spuds for 5 more minutes. Remove the onions from the vinegar and place in a large bowl with the olives and clementine sections. Use the reserved tbsp of vinegar from the onion to make the dressing. 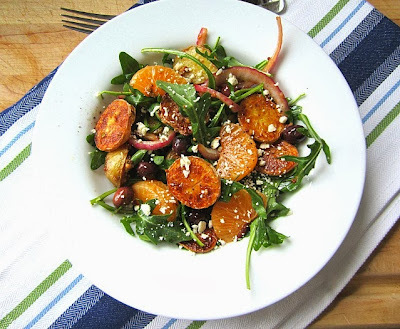 In a separate bowl, add the warm potato slices and coat them with some of the dressing (you will probably have leftover dressing....use it tomorrow when you make this salad again!). Place the coated potatoes into the salad bowl, adding the arugula last, and gently toss. Plate into bowls and shave some feta cheese (like snow) on the top. Season with sea salt & ground black pepper and serve right away. See, winter isn't all that bad (yeah, I keep telling myself that). This looks fantastic! I might make this for my family that is visiting this weekend, so we ALL ward off scurvy (that made me chuckle). 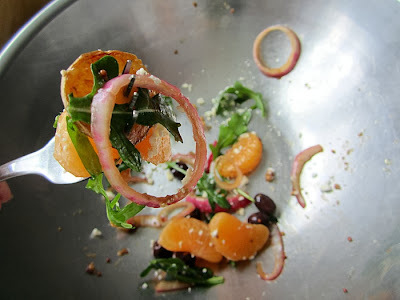 I love this salad because you added clementines (ha! for scurvy!). Citrus and olives are so perfect together. 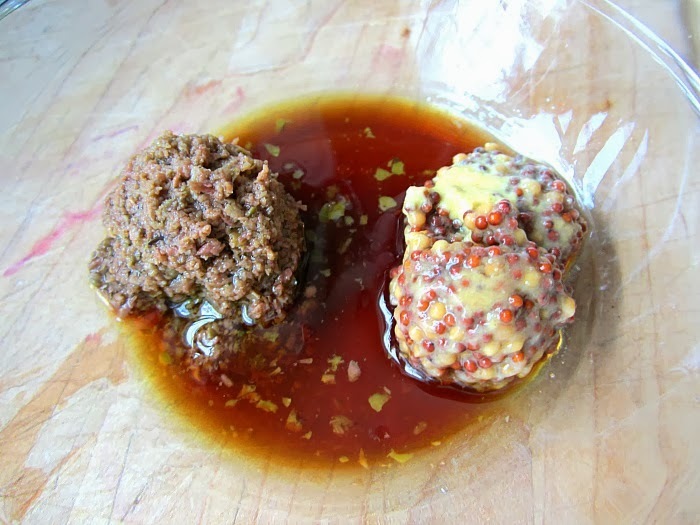 I am making this for a small dinner party this weekend. Perfect! a giggly post! going to town today and getting the goodies to make this. 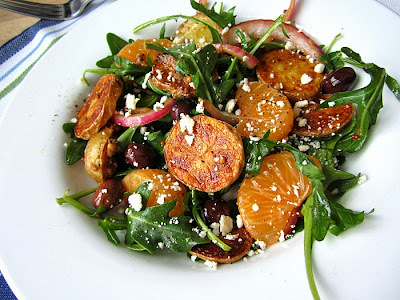 This is my kind of salad - it looks gourmet and delicious.